Standard Galva Steels Pvt. Ltd, one of the major companies of the Standard Group has been manufacturing steel flexible conduits under the brand name ‘SteelFlex’ for more than two decades. 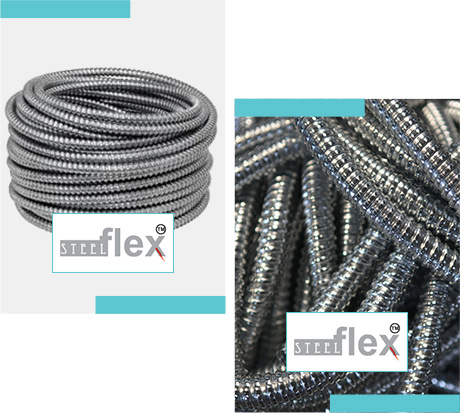 Being an established brand for Steel Flexible Conduits, SteelFlex is well renowned in India as well as overseas. The company has a good hold over the international market and is the one of the highest exporter of steel flexible conduits from India. The conduits range from NB 3/8” to 3” in size and are coated with PVC with vacuum or without vacuum as per the client’s instructions. Several industries including the electrical industry use these conduits extensively as protective covering of cables, automobiles, etc.